Recently space has become a hot topic. 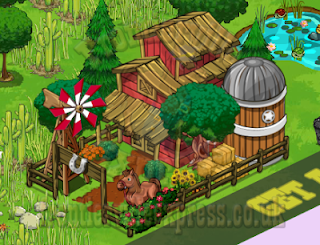 We know soon an Animal Hospital Upgrade is coming so those with various special animals coming out their ears will find more space, and also at least one land expansion. But what about building storage? Personally I think one of my highlights in 2012 was the invention of the Building Storage Building, or "Streets" to give them their in house name. Not only did they open up space but they were all wonderfully designed, I still think the Ranch is one of my favourite buildings for it's look and just the frontiersyness of it, if I had a Frontier town, the Ranch might be the one building I looked at first and thought... yup, I want THAT! But, since they were brought out, we've seen more buildings that could, perhaps should go inside them. So this is my idea... We have a new mission thread for building storage, but NOT a new building. Let's be honest, the ones we've got are nice enough but sooner or later we'll end up with something that doesn't work as well, as a design on a Frontier town. 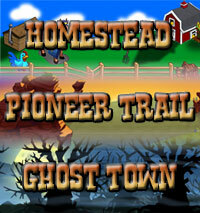 Each mission is the thread is do a couple homestead tasks... and expand on one of our building storage buildings. ...I'm sure there's more we could slot in various places, that's just off the top of my head. The only thing I know is tricky is buildings with characters attached like the Shaman Lodge, the Barbecue or the Habitat. Yes, it would be a big mission thread, but if that was the ONLY thing we had that week, I think the rewards outweigh the length, just like the expansion missions are hard, but worth it for the extra land. From the other angle Zynga still get what they need, requests, interaction and social stuff. I'm all for more storage.... especially for the odd animals,trees and of course all the new buildings we have to create room to place. Has my vote for what it is worth!!!! 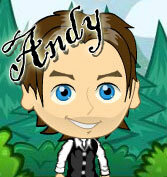 You have a wonderful imagination Andy! I hope that Zynga takes your idea to heart! It would be great to be able to store all the extra new buildings and such.....Personally I hate the wrapper missions and in my imagination they would be optional and only show up in your mission list if you choose to do them. The other thing I saw mentioned here in a reply was about needing more clicks. This is very true, we do need them. At Zynga they always tell you to add more friends if you are having trouble getting what you need...the problem there is still that 50 clicks are 50 clicks no matter how many friends you have. I usually use mine for the things I am working on and then go click everything that I find that my friends need that may be behind in on missions. Then I have to wait for the reset again. This isn't so bad until your clicks just disappear while you are sleeping like what happened to me last night. Do we really need all the extra characters anyway. They move at will all over the homestead, "without their prospective buildings". I deleted the sarcophagus but the mummy remains on my homestead. The Trading Post is stored & totally useless but Voyageur Jacques still shows up no matter how many times I tell him to go away. The Detective Agency was deleted long ago because I thought the detective (can't Remember his name) was REAL Creepy, I am so GLAD he is no where to be found. All these people roaming around get in the way, How about a Bunk House for the characters without a building. Add a Stay feature like the Dogs we trained;when their presence is not required they are inside out of sight until we 'activate' them.